It's been over a month since the last News Roundup - but have we been active! 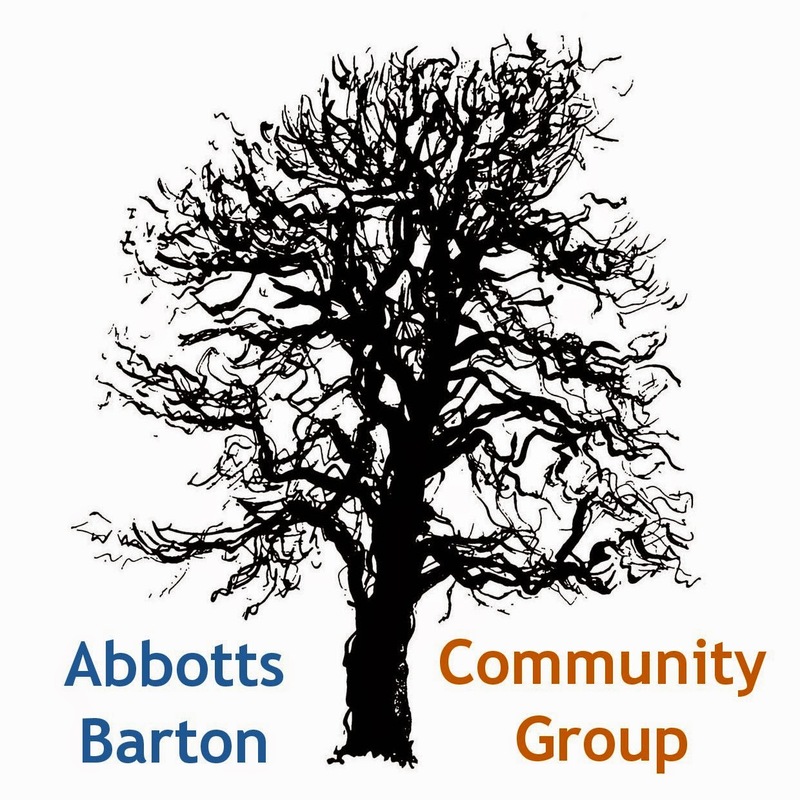 As you know we started with our free Abbotts Barton Gets Active sessions in early September and we are just over half way through. So far our sessions had a good number of participants each time, ranging from somewhere above 10 to around 25 to 30 at its best times. You can still join in, no need to worry about it being too strenuous or too easy, there is always a variety of exercises that can be done and our professional trainer is keeping a good watch over us! Just wear something comfortable that allows you free movement. Please note that there will be a session this coming Sunday after all (the events tab has been updated)! 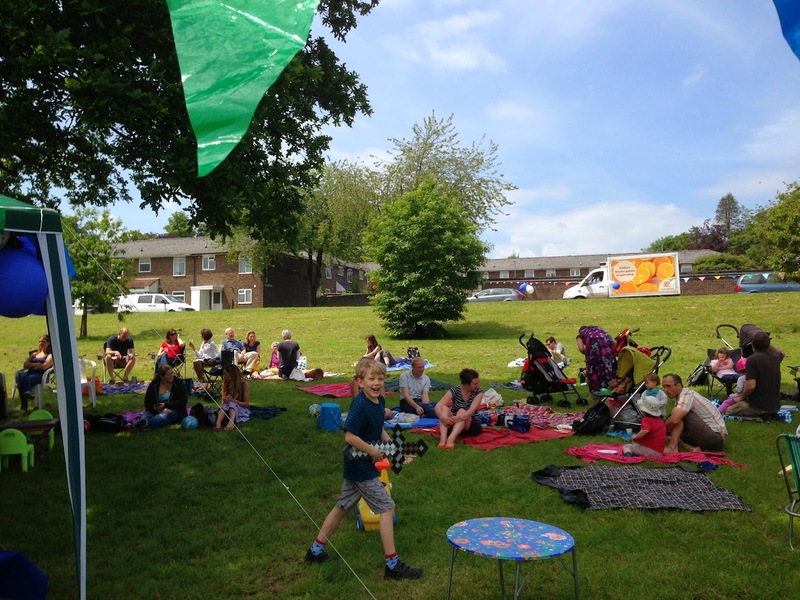 We are aiming for one last Picnic in the Park for this year on Sunday 5 October, from noon to 3pm in the Abbotts Barton Park. Everybody welcome! 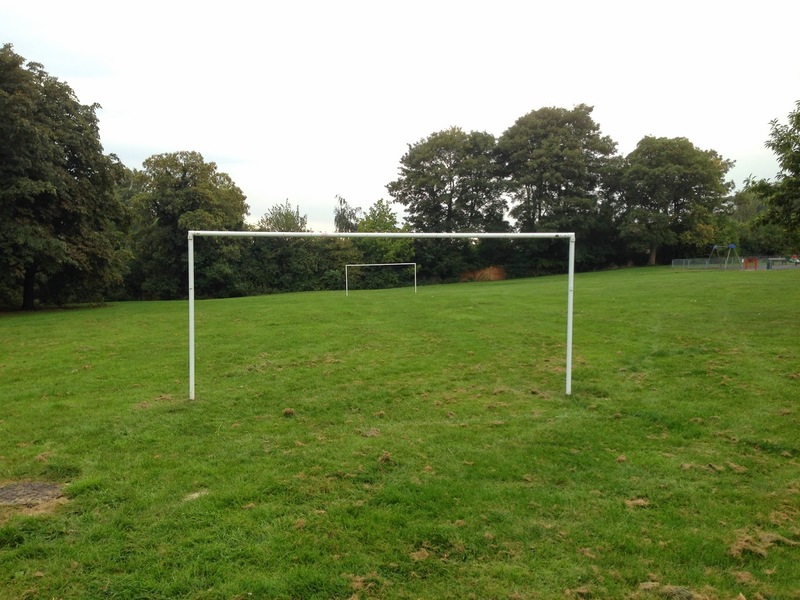 Hooray, we have got two goalposts in the park now - and people are using them (and the picnic benches that were installed in August) on a regular basis! Thank you so much for this, Winchester City Council! 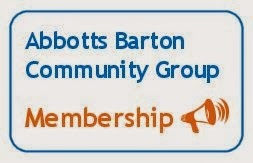 Membership reminder: it is important that we as a group can show that we represent at least some part of the community and therefore we need members! While many have signalled that they would like to be members, we still have a number of people whose email addresses don't show up as confirmed, which means they might not be receiving our emails. If you think you should be getting them and don't currently do so, please sign up again via the Contact tab on this website - and don't forget to confirm the subscription via the link in the email that you should be getting. If you don't get an email after pressing the button, please check your spam or junk mail folder. If there's nothing there, please contact us via the form on the Contact tab, maybe we can help. If you know somebody who isn't online but still would like to be a member, could you be so kind and send us their details (also via the form on the Contact tab) and we will confirm with them offline. Thank you! Please note: the next Councillor's Surgery for our ward for once will not be on the first Thursday of the month but on the second one, on 9 October from 7:30pm to 8:30pm in the Hyde Parish Hall. Winchester City Council has published slightly updated documents on its Cabinet meeting agenda from 22 September. The main bit about Abbotts Barton is still in Chapter 3, starting page 37. You can find a guide to the documents on the Save The Parks website. There are still lots of development projects being worked on and it seems the Council and the public still don't always agree: Public and councillors clash over consultation on Winchester developments. The first formal consultation stage for Local Plan Part 2 is planned for the end of October 2014. There is a at this quite unspecific timetable for the production of LPP2. Have your say on new council ward boundaries for Winchester. There is an E-Panel that you can sign up to on the WCC site: "Winchester City Council is establishing a new consultation panel to help when consulting about Council initiatives, activities and various proposals. The panel will be an 'electronic panel' and people will be consulted via email and the completion of online survey forms." Winchester Round Table: "Have you got the date of the Winchester Bonfire 2014 in your diary yet? It will be held on Saturday November the 8th in River Park!" Trading Standards: "Fed up of door to door salesmen? Over 44,000 homes in Hampshire are now within No Cold Calling Zones." Setting up a No Cold Calling Zone - I would love that but would struggle finding time to get this going, anybody? Solar panels to be won by primary schools! Just nominate your favourite one!